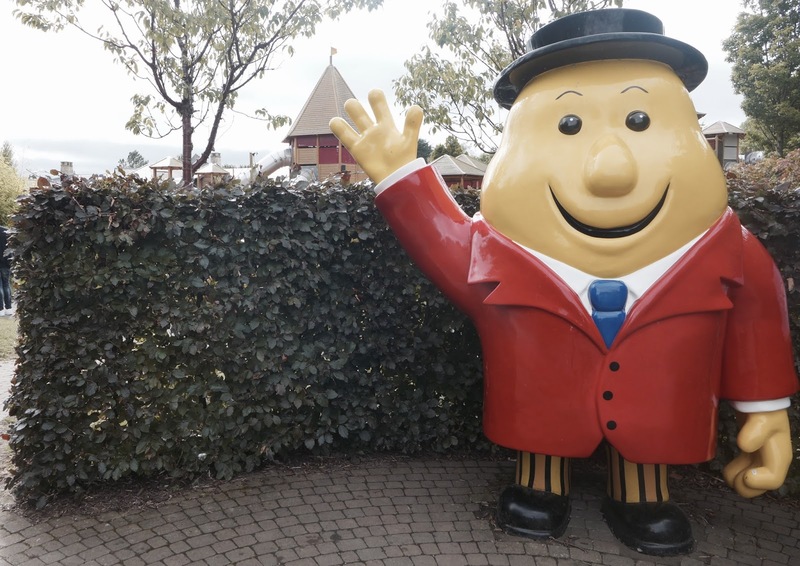 One of the benefits of Conor being from Ireland is that whenever we pop over to see his family we usually end up spending a day at fabulous Tayto Park! 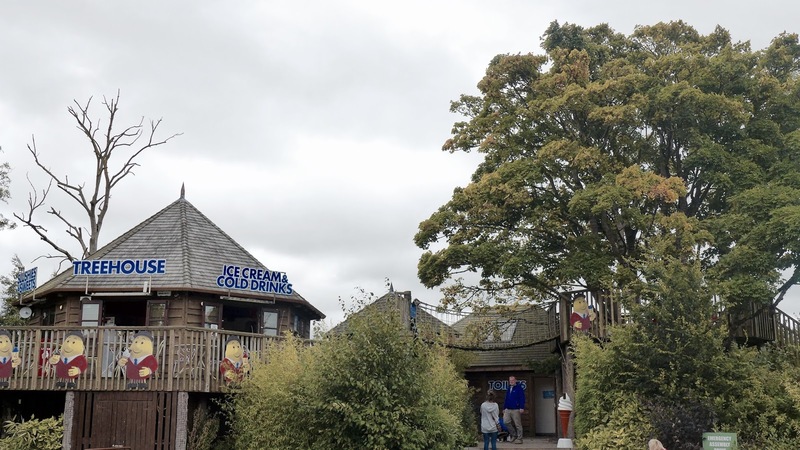 This is a park I've watched with a keen eye for a while. 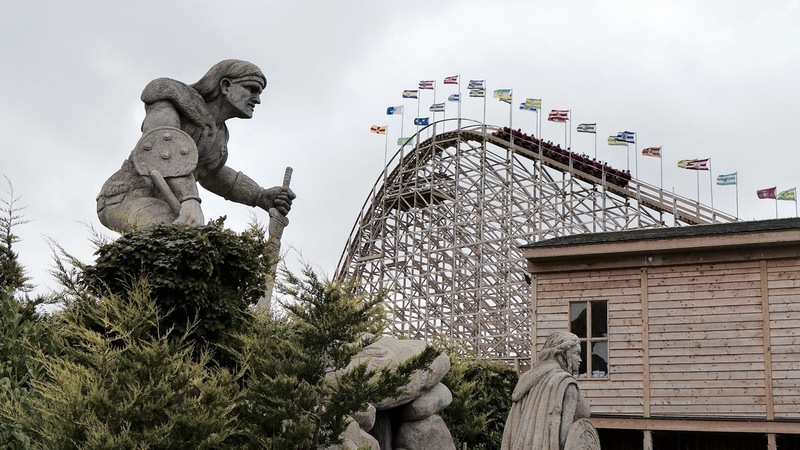 Conor and I visited in 2014, before they really sprung onto the enthusiast radar with CuChulainn and again for the CuChulainn Media Day. 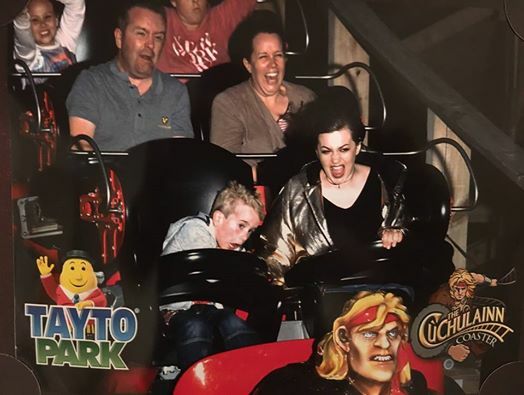 Every time I visit this park it looks completely different and the Coyle family continue to make measured and solid investments as Ireland's only theme park becomes something truly special. 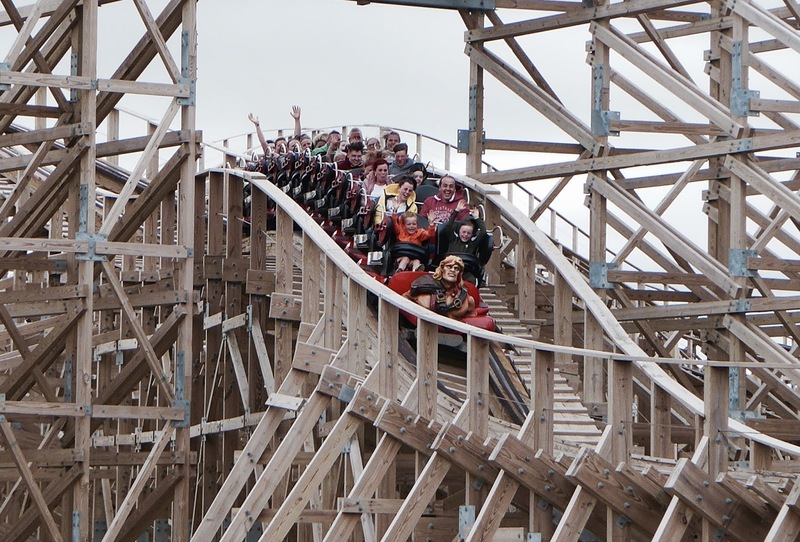 So on this visit I was excited to get back on the fantastic Gravity Group woodie but also to get my teeth stuck into (not literally, that would be weird) the park's latest endeavour - Viking Voyage at the Park. 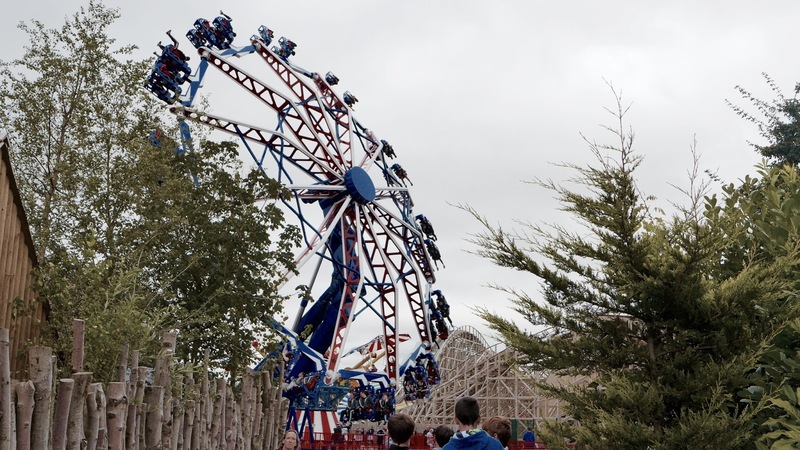 The attraction is an Interlink Super Flume and the park's best themed addition to date. 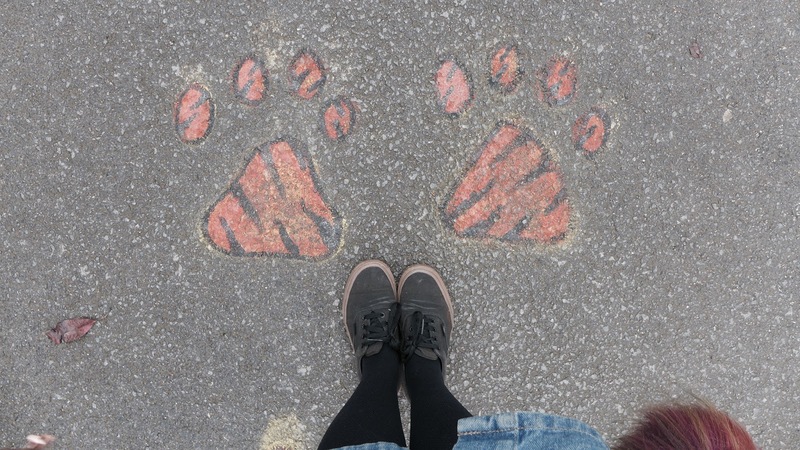 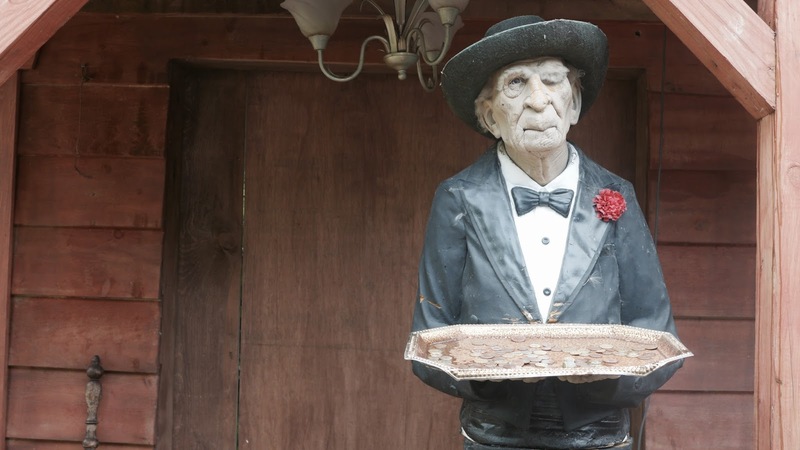 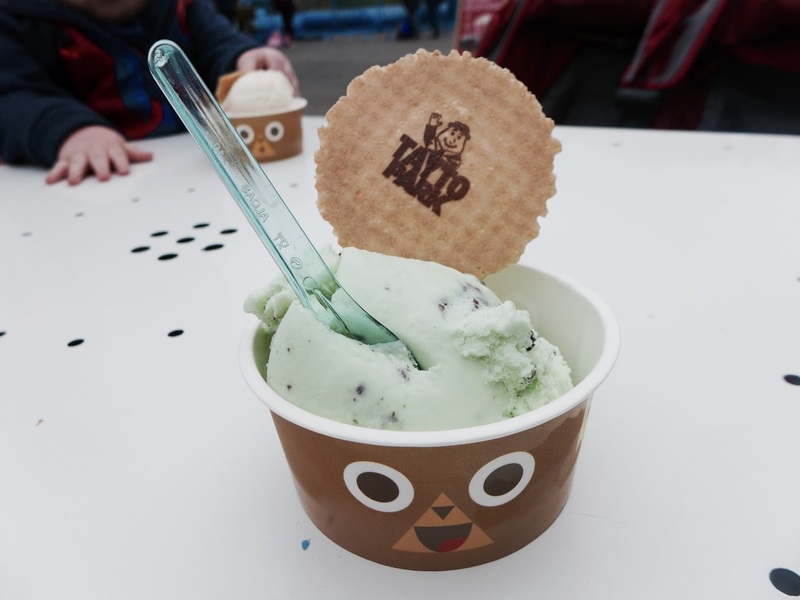 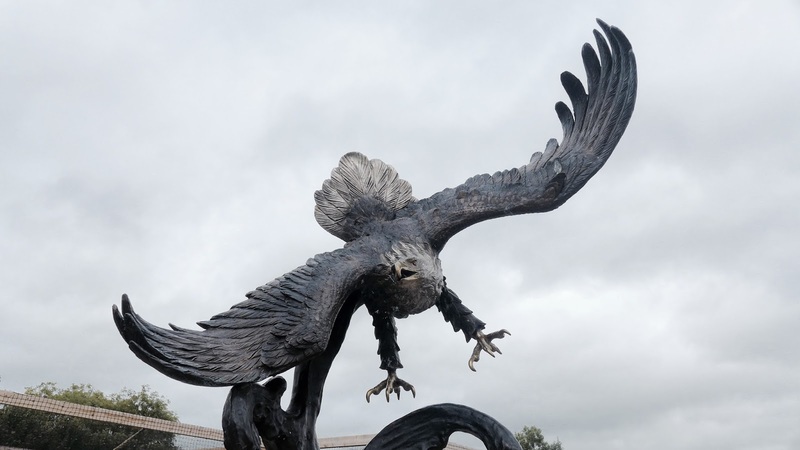 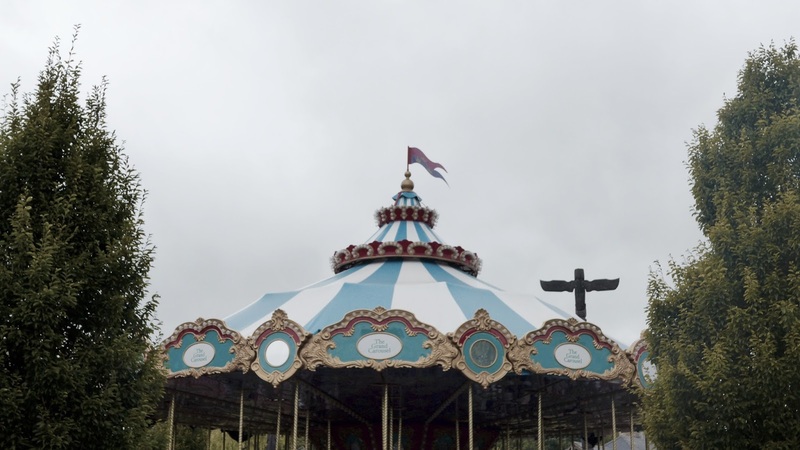 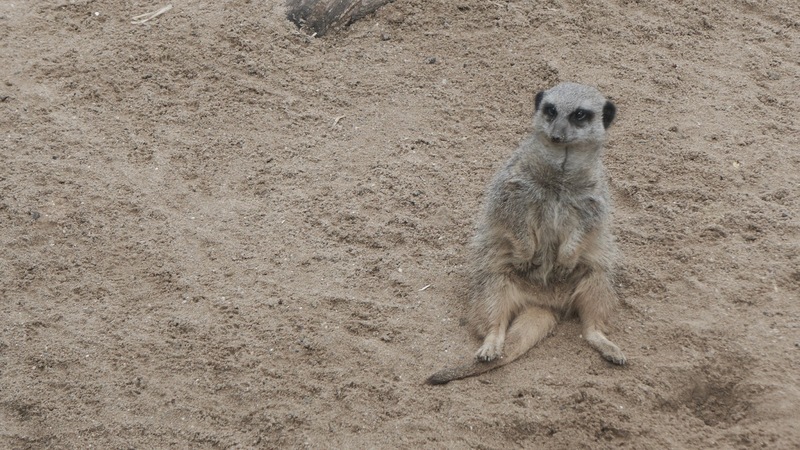 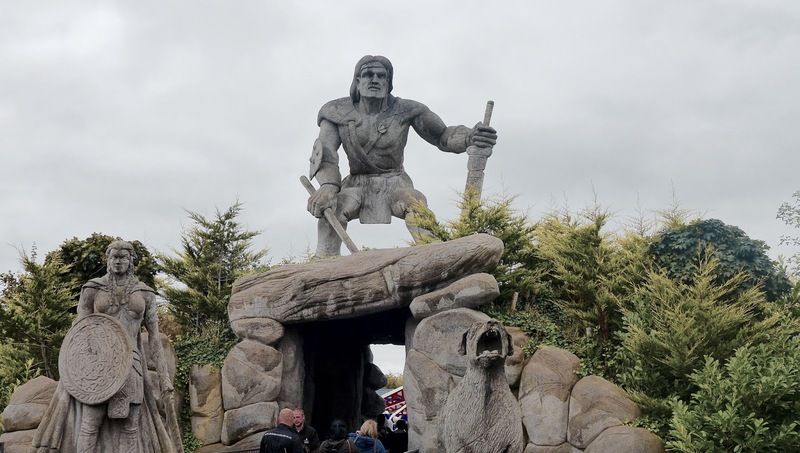 From the 'real' Vikings that great you as you enter the mini-land, to the queue that winds through a small Viking village where you board your boat, Tayto Park prove that theming doesn't have be compromised on slightly smaller budgets. 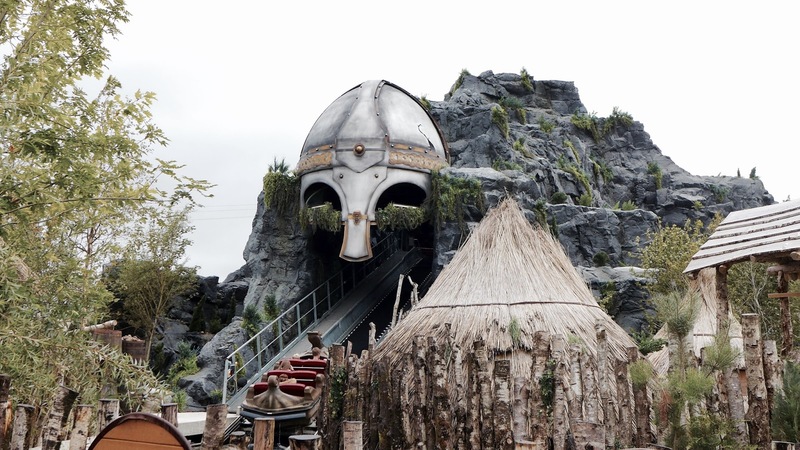 The park and those who designed the attraction have done an excellent job at maximising their assets and getting the most out of their Euro, including an impressive mountain centrepiece complete with giant viking helmet. 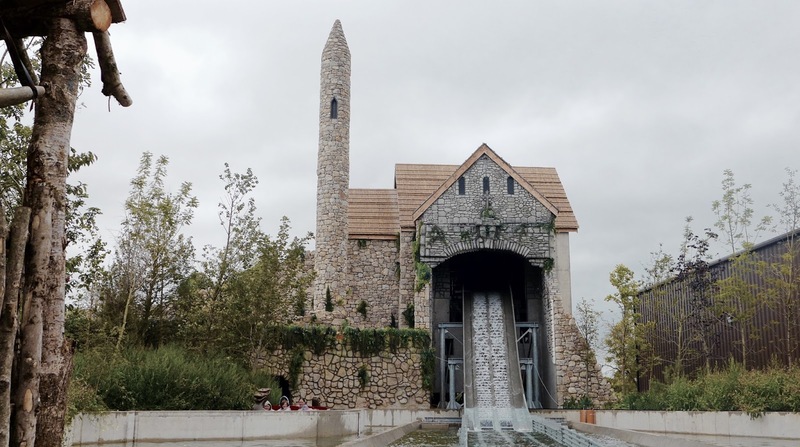 It's all incredibly intimidating but the excited youngsters queueing for the awesome flume ride didn't seem bothered - they were just interested in getting wet! 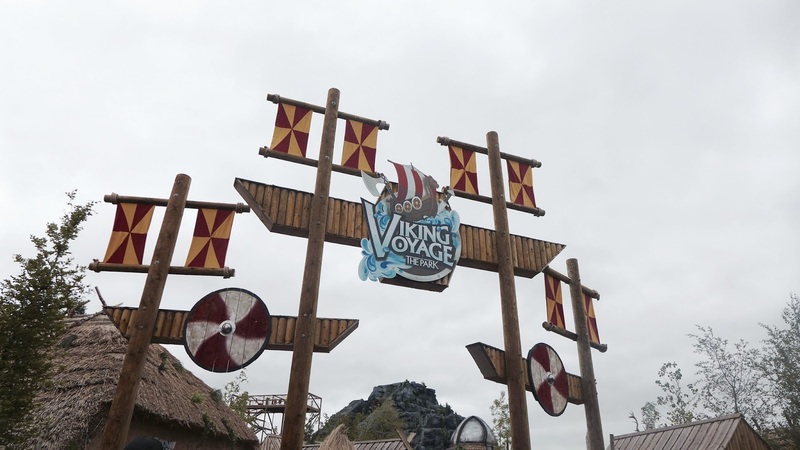 What I loved about Viking Voyage is that it wasn't all front when it came to theming. 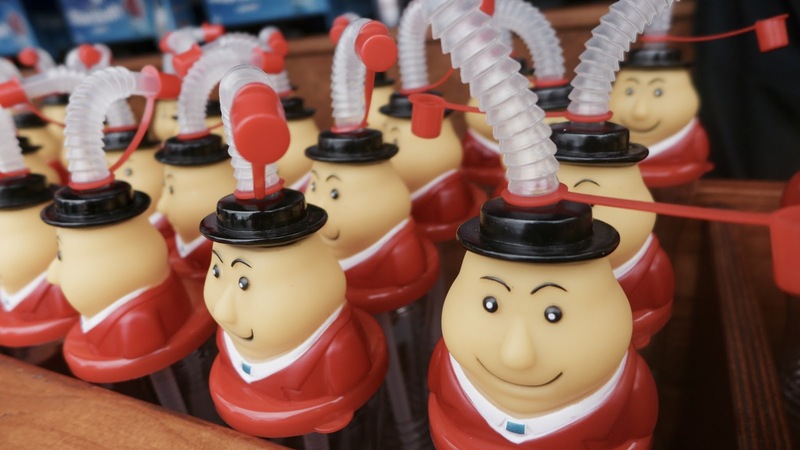 Many parks would have blown all of the theming budget on the bits visible from the queueline, but not Tayto. 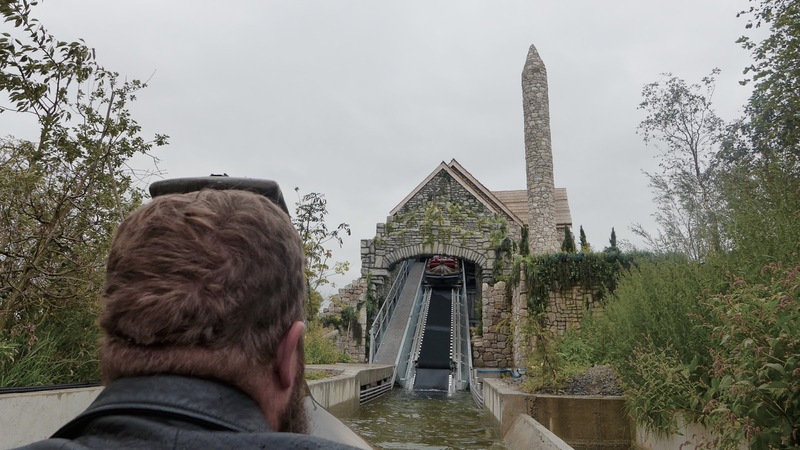 The ride is LONG, with three large drops including a backwards section whose turntable lives in a Viking church which I thought was totally badass. 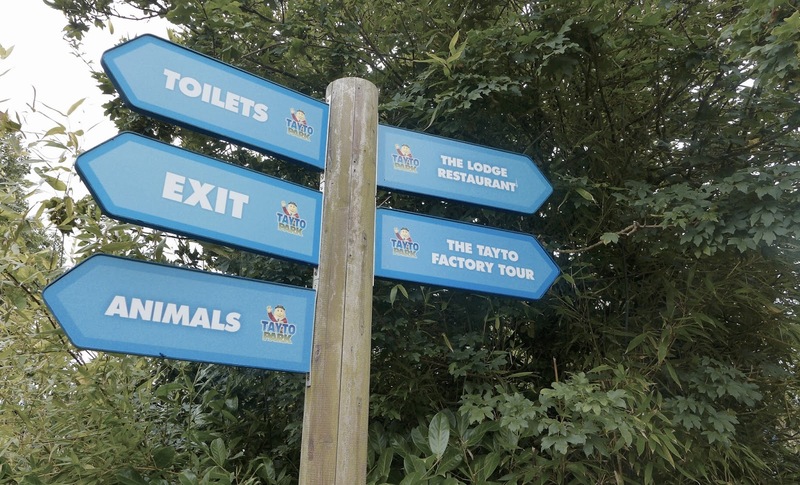 Huts and weapon theming litter the edges of the slower, meandering parts of the attraction as a continuation of the queueline village theme but a few water cannons placed alongside for good measure in case the drops weren't enough to give you a good soaking. 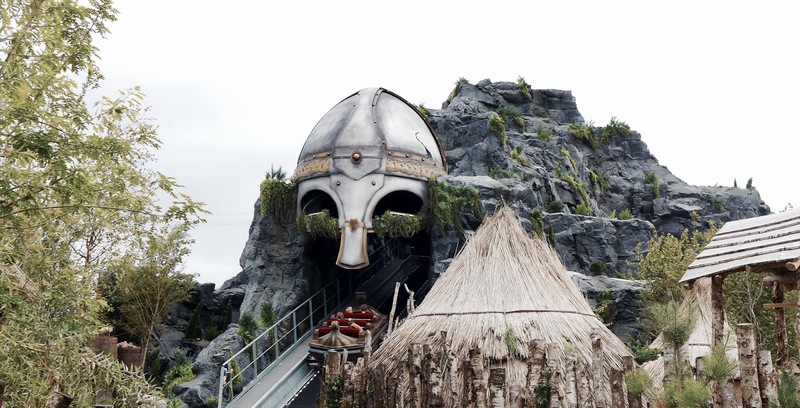 And the theming is gorgeous too, whilst up close you can tell that the plants are fake and the 'rock' walls are fibreglass, they create an excellent effect of realism and are once again a great example of the park maximising their budget. 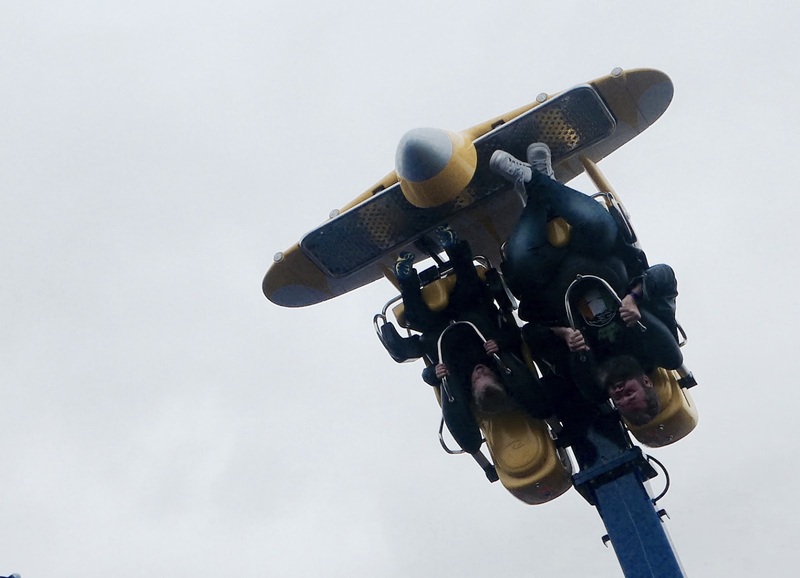 Fantastic theming, a REALLY long, fun and wet flume to complement and, most importantly, a ride the whole family can enjoy together! 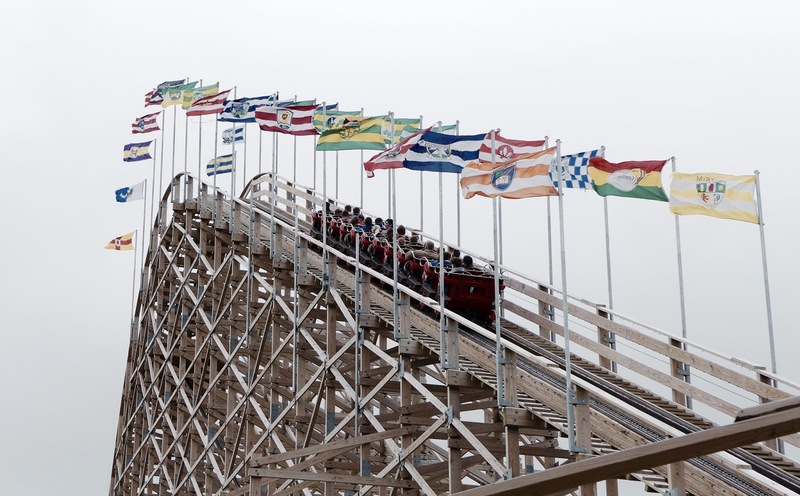 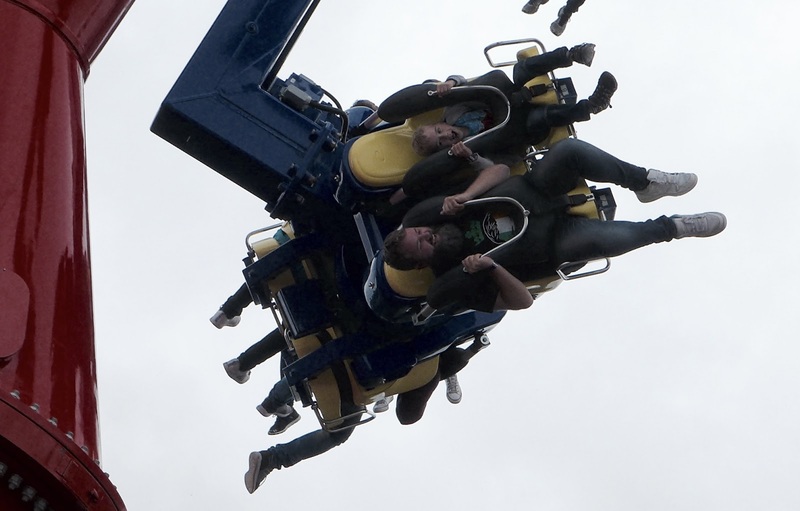 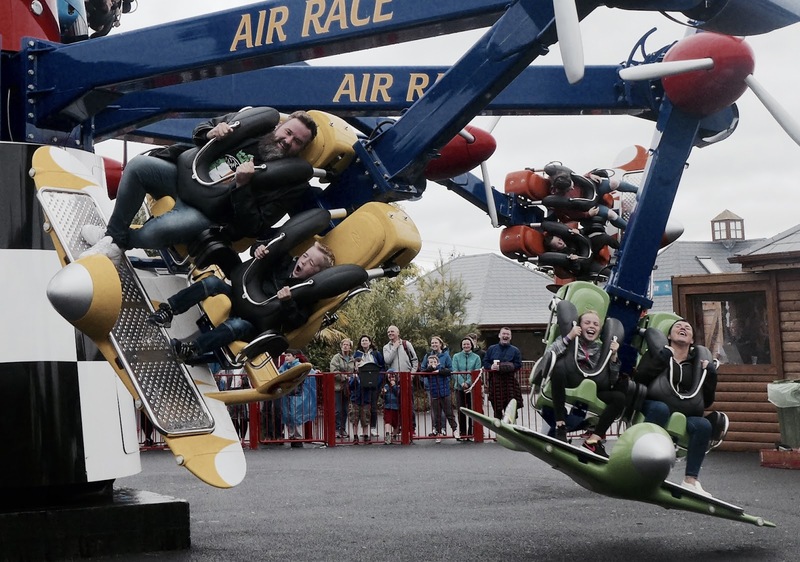 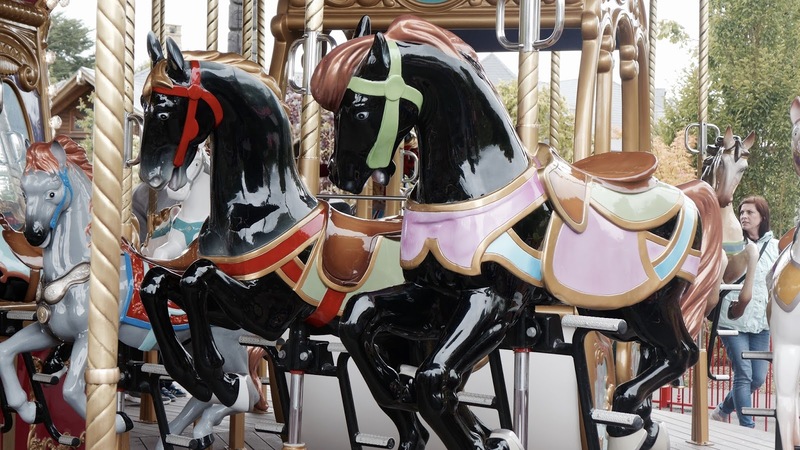 The park have also installed a whole bunch of new flatrides including a Zamperla Power Surge, and a Zamperla Endeavour. 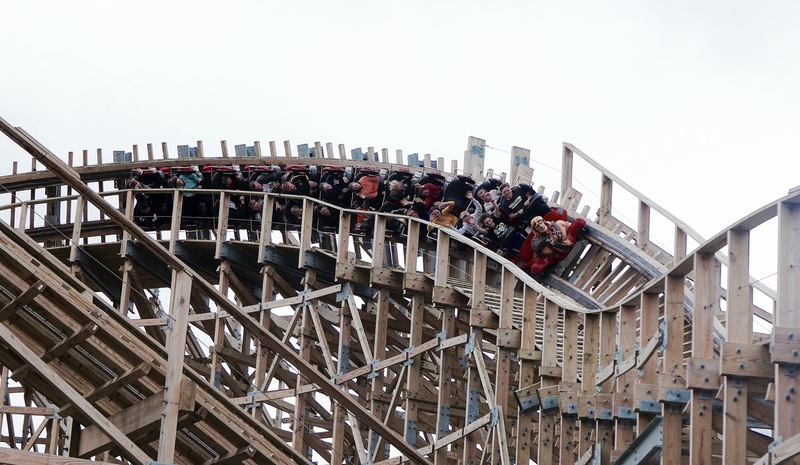 Whilst I would have preferred for the park to continue with the gorgeous theming of Viking Voyage, I can totally appreciate that that's just me being idealistic and realistically it's just fantastic that the park are continuing to provide more thrilling attractions for their more adventurous guests. 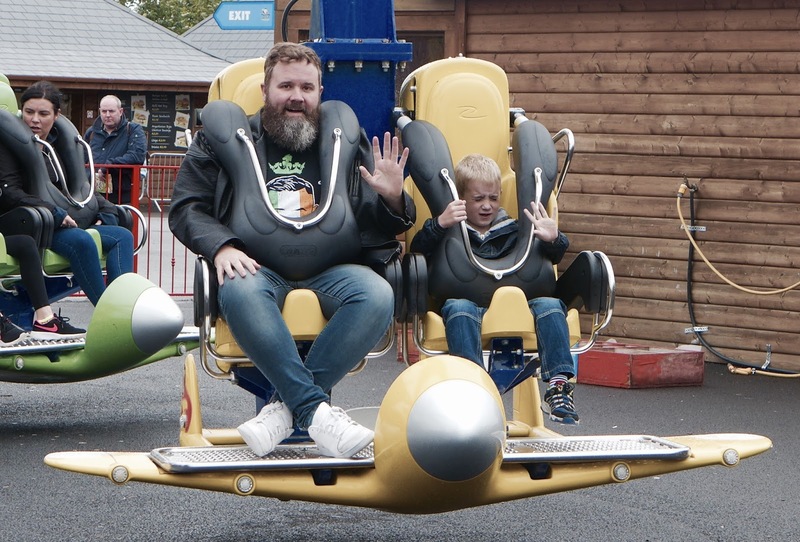 We visited with Conor's family so spent the rest of the day enjoying the family attractions before grabbing a few goes on fabulous CuChulainn - including taking Conor's 6 year old nephew on for the very first time. 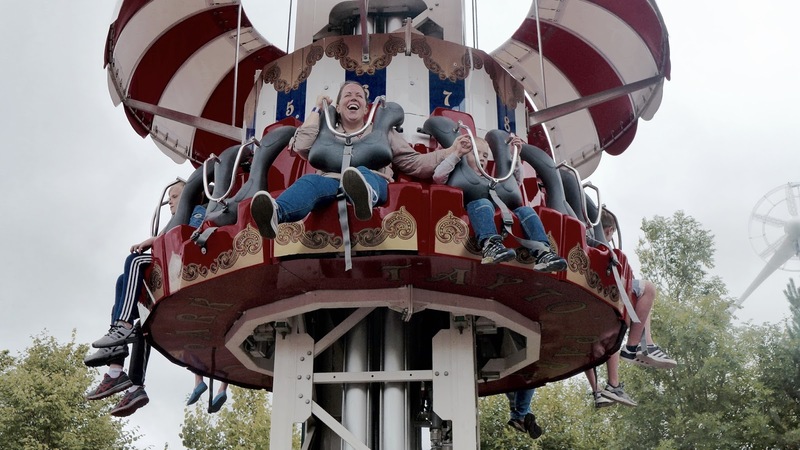 His face says it all! 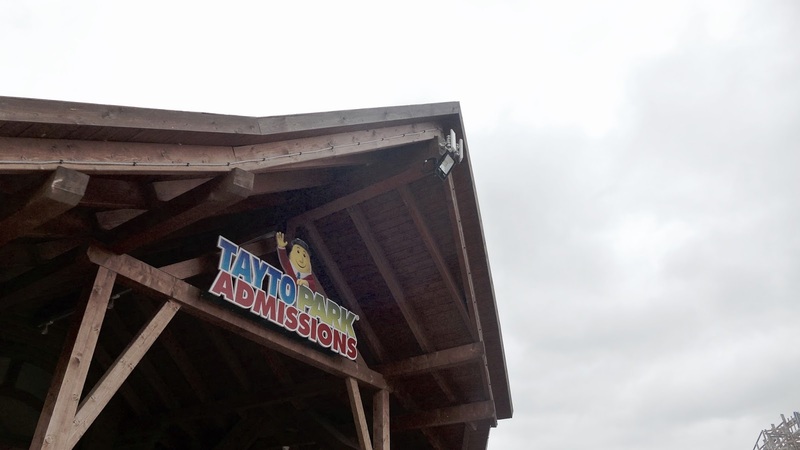 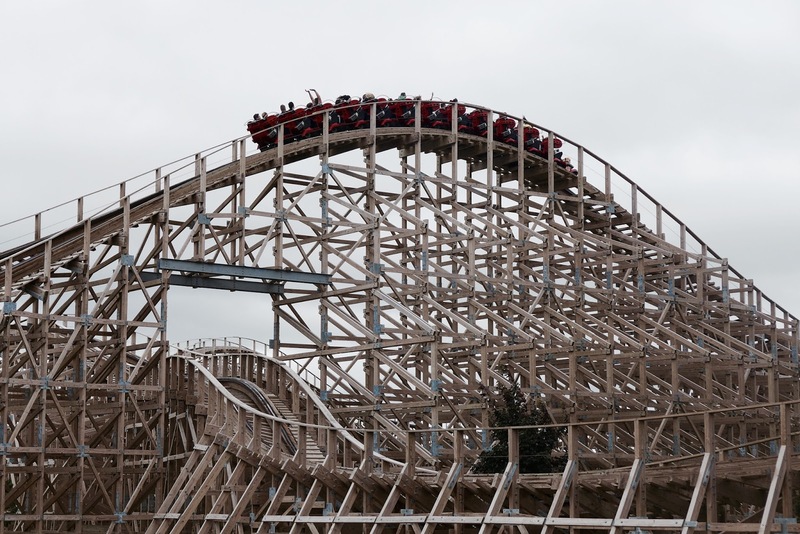 Tayto Park is always an attraction I love visiting and love watching develop. 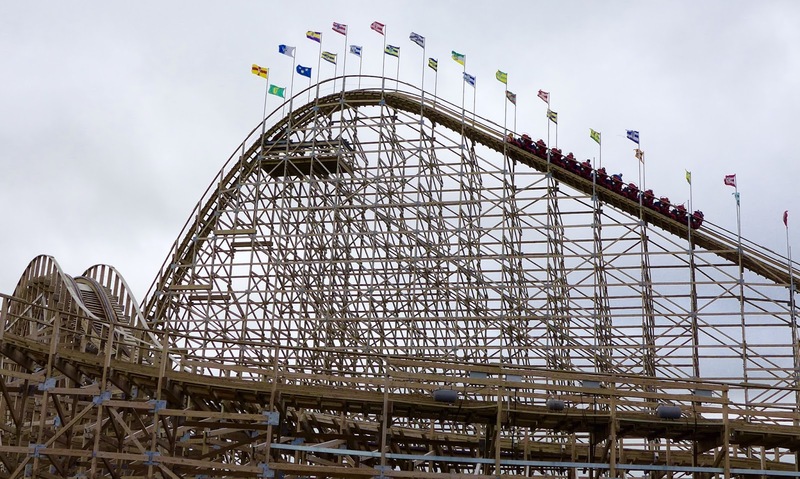 I can't wait to see what they'll surprise us with next!